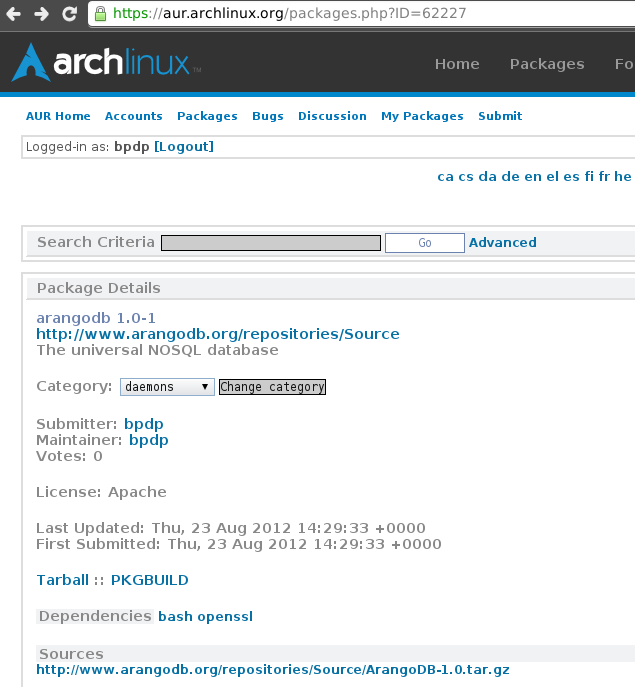 Finally I can finish ArangoDB package PKGBUILD for Arch Linux. The people at triAGENS are helpful. Have to say thank you for their help, especially @steemann, @loremsqlsum, and @fceller. The package can be installed just by using yaourt -S arangodb.